K-3339 Features: -Sink strainer and faucet not included.-Single basin depth.-No faucet holes.-Lever handles are ADA-compliant.-One-piece ceramic valve resists debris and hard water buildup.-For installation on 4'' centers.-Stainless steel.-For sinks with 3 1/2'' or 4'' outlets. Includes: -Includes 1-1/2'' x 4'' tailpiece. Options: -Faucet available in polished chrome finish.-Available separately in the following finishes: vibrant polished brass, brushed chrome, vibrant brushed nickel, vibrant brushed bronze, vibrant french gold. Construction: -Stainless steel construction.-Solid brass construction.-Solid brass construction. 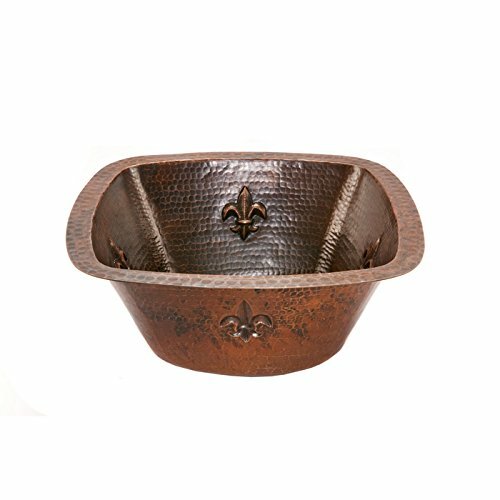 Dimensions: -Basin depth: 5.25''.-Interior sink dimensions: 11.5'' diameter.-Exterior sink dimensions: 13.63'' diameter.-Overall faucet dimensions: 15.25'' H x 7'' W x 8.25'' D. Warranty: -Manufacturer's warranty. 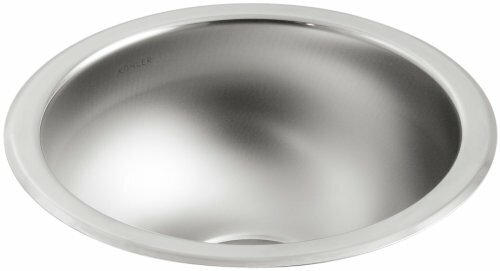 Looking for more 7' Undermount Bar Sink similar ideas? Try to explore these searches: Dome Indoor Camera Lens, Tri Vent Slider, and Robot Coupe Commercial Food Processor.